I received an email from AdWords informing a client that they would no longer accept “interest-based Ads related to Divorce or Marital Separation”. 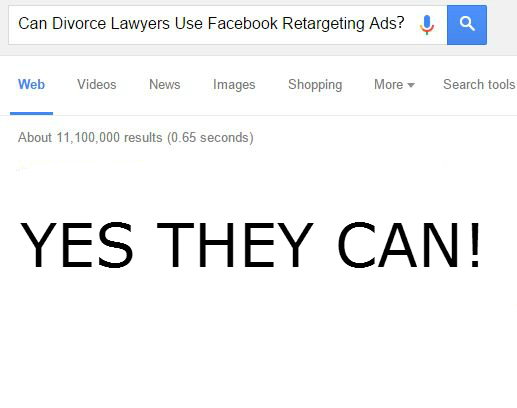 Does this mean AdWords is no longer the right Channel for Divorce/Family Law lawyers? Nope. It means we can’t use “Retargeting” for this practice area though. If you serve up Ads to people who have visited certain pages of you site site through Google’s Retargetting Network – you’re about to have your campaign closed (within 2-3 weeks they say). I don’t know what Google AdWords will allow tomorrow but I do know that instead of living and dying by Google Retargeting Traffic we’ll move this budget over to Facebook Retargeting. We’ve been allocating more and more of clients ad spend budget (with their approval of course 🙂 ) to Facebook and have loved the results. Using Facebook Ads we can send ads to people who have been to certain pages of your site but not to others. A visitor went to your “Large Assets Divorce” Page – they’ll get an Ad served specifically to them. “Alimony Payments” page – they’ll get an Alimony Ad. It’s about serving the right ads – to the right people at the right time. 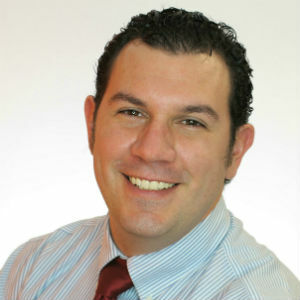 If you’re interested in learning how to use Facebook Ads to generate leads for your law practice Click Here and schedule a free consultation.